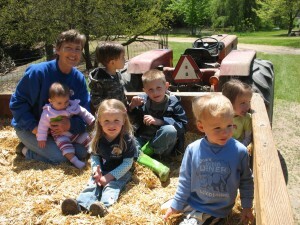 Hayrides also offer a great way to have “fun on the farm.” Hayrides are especially popular in the fall. 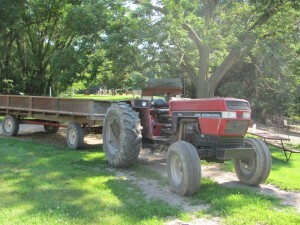 We will take you for a scenic ride through the fields and forest of our 75 acre farm. Each hayride includes a trip through the hay maze, looking at the barn animals, as well as an opportunity to feed the sheep, goats, and ducks, which will eat right out of your hands. In addition to hayrides, we also offer campfires and/or rental of the building. Please note: No alcohol allowed. 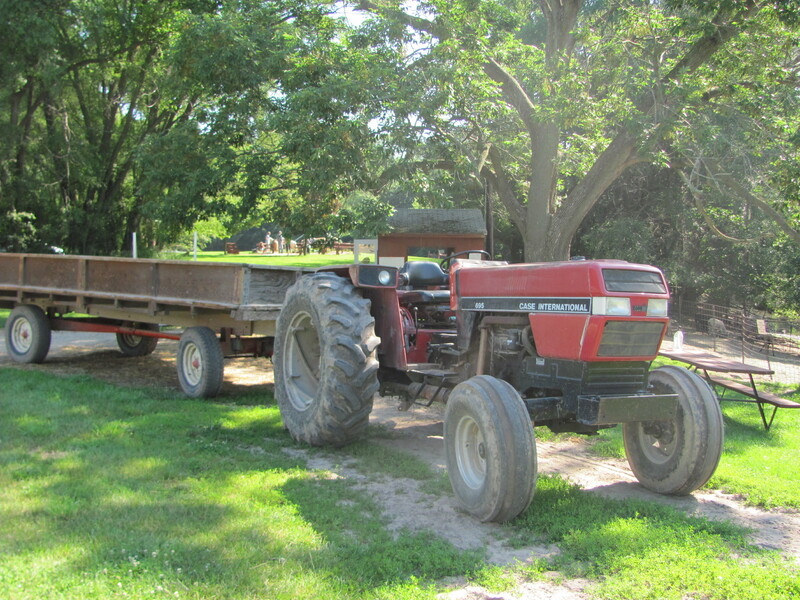 Each hay wagon can hold approximately 25 adults, and we have the capability to take up to three wagons at a time. For reservations or more information please call 616-335-6226. Closed Sundays.